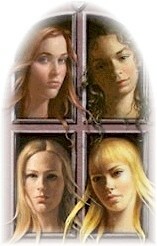 Four girls, trained in the arts, come together at a prestigious school for talented people. Only to discover a secret lurking in the owners closet. Cinnamon loves the shadows, because that's where no one can find her.... For Cinnamon, dreaming of imaginary worlds and characters is her only escape from her mother's breakdowns. Her grandmother's overbearing control. Her family's turmoil. But Cinnamon is discovering something special about herself, a gift from within that sets her apart: a talent for the theater that would finally give her a chance...to truly escape.